My first purpose day out collecting tube stations has come to a close at Cockfosters (013) and I’m now on my way home. Luckily the route home takes me through station 014 to connect with a bus back to South Woodford (001). 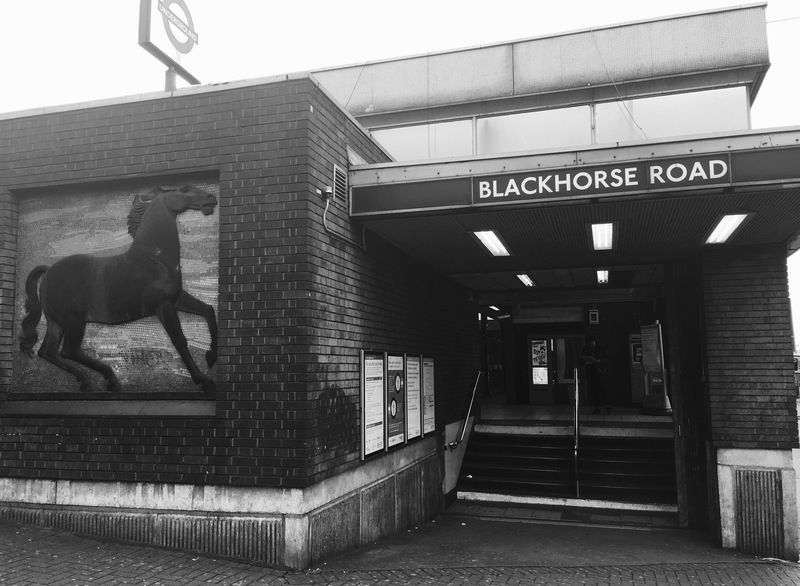 Blackhorse Road is a station of function over form. Brutalism divides opinion and there is a growing movement of admiration for buildings once considered as drab eyesores. The Barbican, Balfron, Trellick and even Euston are beginning to be appreciated as design icons of their times. Unfortunately the 60’s were not as kind on tube station design. Whilst we’ll explore the merits of the Victoria Line’s infrastructure later, it’s surface level buildings tend to leave a lot to be desired. In fact most of them are barely there altogether, where they are somehow apologetically bolted onto existing infrastructure. It’s certainly a stark contrast to the early Brutalist stylings of Holden’s Cockfosters.